Awarded every year in five fields of science and art, the Wolf Prize is an international prize and the most prestigious one to be awarded in Israel. This year, it will be awarded in Medicine, Chemistry, Mathematics, Agriculture, and Architecture. The 2019 laureates have been announced on January 16 and the $100,000 prizes will be awarded in a ceremony set to take place at the Knesset in May. 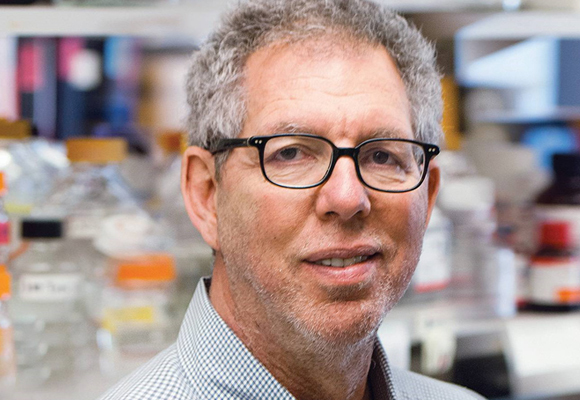 The prize in Medicine will be awarded to Jeffrey Friedman from Rockefeller University in New York, for discovering the hormone leptin, which regulates the sensation of hunger. Friedman (65) grew up in New York and graduated from medical school at the early age of 22. Later on, he fell in love with research, acquired his PhD in Molecular Genetics, and received a faculty position at Rockefeller. He was interested in understanding the factors that contribute to obesity, and studied a strain of mice with a mutation in a specific gene that made the mice fatter than regular mice. Friedman wanted to understand how a change in just one gene could lead to such an extreme transition, and after eight years of research using the most advanced genetic tools of the time, he identified the gene ob, and later, its product – a protein hormone he termed leptin. He found that leptin, secreted by fat cells into the blood, affects the brain. Under fat shortage leptin levels drop – leading to an increased appetite; while high levels of leptin signal the presence of excess fat and lead to a sensation of fullness, or satiety. Therefore, in certain situations of obesity, leptin treatment may assist in reducing appetite and facilitating weight loss. Friedman's studies paved the way for a fuller understanding of the system that regulates hunger and satiety, which has led to the development of new drugs and treatments. The prize in Chemistry will be awarded to Stephen Buchwald from the Massachusetts Institute of Technology (MIT) and to John Hartwig from the University of California, Berkeley for developing an efficient process for creating a chemical bond between carbon rings and a nitrogen atom – a central step in manufacturing many organic compounds. Inspired by his high-school teacher, Buchwald (64) decided to study chemistry. He acquired his PhD in Organic Chemistry from Harvard University, and in 1984, received a faculty position in MIT. Hartwig (55) acquired his PhD from Berkeley in 1990 and became an independent researcher there. Both researchers separately tackled the challenge of developing an efficient method for chemically bonding a nitrogen atom to a ring made from six carbon atoms. Such a bond is a central component in many materials, and its efficient production is essential in the manufacture of drugs and other compounds. As early as the 1980s, researchers suggested using a palladium-based catalyst. However, these reactions were very limited. From the mid-1990s, Buchwald and Hartwig immensely improved the method, which is now termed Buchwald-Hartwig amination, with numerous applications in the pharmaceutical industry and the chemical industry in general. The prize in Mathematics will be awarded to Gregory Lawler from Chicago University and to Jean Francois le Gall from Paris Sud Orsay University, for their studies in probability theory. Lawler (64), who acquired his PhD from Princeton University, followed up on the work of Israeli mathematician Oded Schramm, who died in an accident in 2008. Schramm was involved in the development of a mathematical tool that enables proofs of complex hypotheses in statistical mechanics (Schramm–Loewner evolution). Lawler expanded the applications of this tool for studying numerous phenomena, including Brownian motion, an important process in the physics of fluid dynamics that is based on random events, and "random walk" – a stochastic process that describes random motion, with applications in numerous scientific fields. 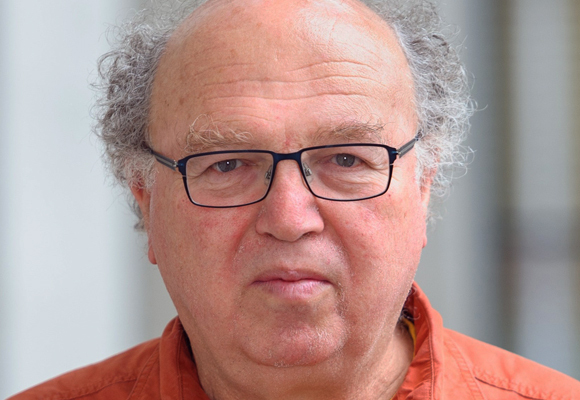 Le Gall (60) completed his studies at École Normale Supérieure in Paris, and also studies stochastic processes – including Brownian motion, super-processes, Lévy processes, random trees, random graphs, and more. The prize in Agriculture will be awarded to economist David Zilberman from the University of California, Berkeley for his studies on economic models of agricultural and environmental processes. Zilberman (72) was born and raised in Jerusalem and holds a Bachelor's degree in Economics and Statistics from Tel Aviv University. In 1979, he acquired his PhD from Berkeley and proceeded there as an independent researcher at the Department of Agricultural Economics. One of the models Zilberman developed addresses the economic and environmental aspects of pest control, and helps to better assess when a certain animal is harmful, at what stage there is an economic advantage to acting against it, and when can the pest itself be used as a resource. This model has contributed to wild hog management in California. Additional models by Zilberman deal with informed exploitation of natural resources such as water and soil, treating animal waste, using environmental technologies, and with the environmental aspects of agriculture. 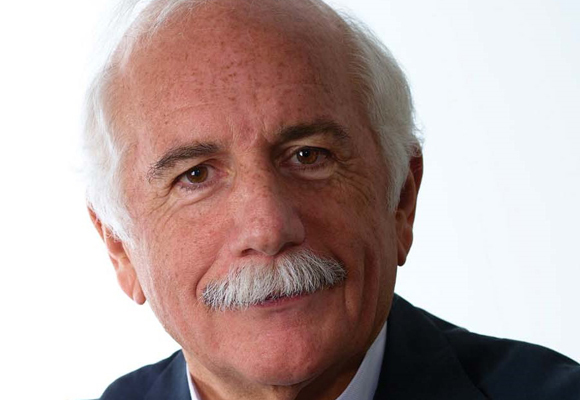 This year’s Wolf Prize in Art is awarded to Israeli architect Moshe Safdie, who has designed numerous important buildings in Israel. Safdie (80) was born in Haifa and grew up in Montreal, Canada, where he studied architecture. After the Six-Day War, his family settled in the Jewish Quarter in Jerusalem. He planned numerous buildings in Jerusalem, including the Yad Vashem Museum, Mamilla Mall, and Tzahal square. In addition, he planned Ben Gurion Airport’s Terminal 3, the Yitzhak Rabin Center, Yitzhak and Leah Rabin’s tombstone, as well as numerous neighborhoods and buildings. He also planned and designed buildings outside of Israel, including numerous public buildings in Canada and Singapore. Ricardo Wolf was born in 1887 in Hanover, Germany, and settled in Cuba before the break of World War I. Together with his brother, Sigfried, he developed an efficient method for recycling iron from smelting process residues. Numerous factories in the world used the invention, which made Wolf a very wealthy man. Although he became wealthy due to capitalism, Wolf was an enthusiastic socialist and provided great support for Fidel Castro's regime in Cuba. In 1960, Castro appointed him as minister of the Cuban legation in Israel. Wolf held the position until diplomatic relations between the two countries were severed following the Yom Kippur War in 1973, but he remained in Israel until his death in 1981. In 1975, Wolf founded the foundation carrying his name, which awards prizes to scientists and artists from around the globe. The foundation also awards prizes to young scientists, as well as scholarships and research grants, but it is best known for the Wolf Prize, which is considered highly prestigious in the arts and sciences. The prize is awarded in Physics, Chemistry, Medicine, Mathematics and Agriculture, and in a number of fields of art, in turns – each year the prize is awarded in four scientific fields and one field of arts. The Wolf Prize is also considered as a "predictor" of Nobel Prizes – about a quarter of those who received it in Physics, Chemistry and Medicine, went on to win a Nobel Prize.